The perfect manicure starts with a treatment from Nicole by OPI, Trind and Avon! Nicole by OPI 3-in-1 - $10.99 - everything you need for the perfect manicure: base, top coat and strengthener - in one convenient bottle. Available at select Shoppers Drug Mart, Walmart, Jean Coutu, Loblaws and London Drug stores across Canada. 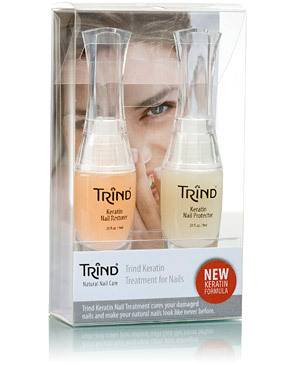 Available online at NailPolishCanada.com, SpaBoutique.ca, SkinStore.com and SkinDirect.com. Avon Nail Experts Ridge Filling Base Coat - $6.99 - smooths out bumps, ridges and helps disguise imperfections to create an ultra-smooth surface that provides the perfect canvas for your polish.